Kids are cute—but sometimes they are impulsive. Luckily, as parents, you've been around the block before and can impart some of your wisdom to help them stay safe and sound. 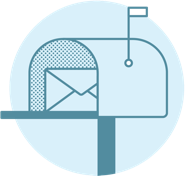 Answering the door safely and politely is one of those areas where kids can benefit from guidance from the adults in their lives. Kids should feel empowered to answer the door and engage with the outside world. But if you need to run a quick errand and leave your child home alone (assuming they're old enough), you can provide them with a few ground rules so they can answer the door safely. Here are 6 tips to help your kids learn to safely answer the door. It's simply not safe to swing the door wide open without checking who's on the other side (no matter how old you are). Let your children know that a window, peephole, or doorbell camera are safe ways to see who's there before opening. If your child doesn't know the person at the door or feels unsafe, let them know they can always ask you for help. And if you're not home and have a doorbell camera installed, you can view your front door from anywhere to see who's knocking and let your child know what to do. With a Vivint Doorbell Camera installed, you can see who's at your front door from anywhere. If your child can’t see who’s at the door or isn’t sure if they recognize the person, another tip is for them to simply ask who's there. Then remind them that if they don't know the person, it's best for them not to open the door. In some cases, however, it may be entirely safe and appropriate for your child to open the door, such as if there's a police officer at your home. If your child decides to answer it, one of the best safety tips for children at home is to not open the door wider than the width of their head. And if you have a chain lock on your door, it's best to leave the lock in place until your child knows it is safe to fully open the door. When they do open the door, they can ask for the person’s identification. Police officers or utility workers should have identification with them. Let your kids know that observing the person’s clothing and appearance also can help them determine if the person is who they claim to be. You can also teach children that a utility worker will be wearing a company uniform and not just a pair of jeans and a T-shirt. And as side note, if you anticipate a friend or family member will be visiting your home while your child is there alone, give them a heads-up beforehand so they know what to expect. If you or another adult happens to be at home when your child answers the door, it's safest for them to close and lock the door before coming to get you. Let them know that they can be polite by telling the person at the door that they are getting their parent and will be right back. Then, have them close and lock the door before grabbing you. Making sure the door is locked is a safe way for your child to leave the door unattended while they get an adult. Whether your child is home alone or not, they should always say they're not. Pretending to go and get an adult while they lock the door and call for help is a great way to avoid a potentially dangerous situation. And of course, if there is an adult at home, children can always ask the adult to answer the door instead if they feel unsafe. Finally, one of the best safety rules for children is one of the simplest: just don't open the door for strangers. Let them know that even after you've gone through all these other guidelines, they never have to open the door for anyone they don't know. Children are smarter than we sometimes give them credit for—and with a little instruction, they can stay safe and comfortable at home even if they're by themselves. 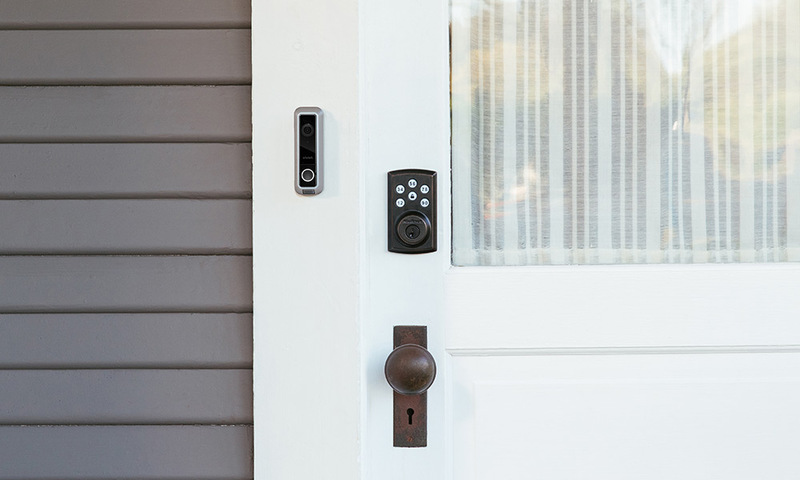 While no amount of technology can make up for setting good family safety rules, a Vivint security system will give you extra peace of mind when you have to step out for a moment. And your smart home system can even help you stay connected with your children while they are home alone. 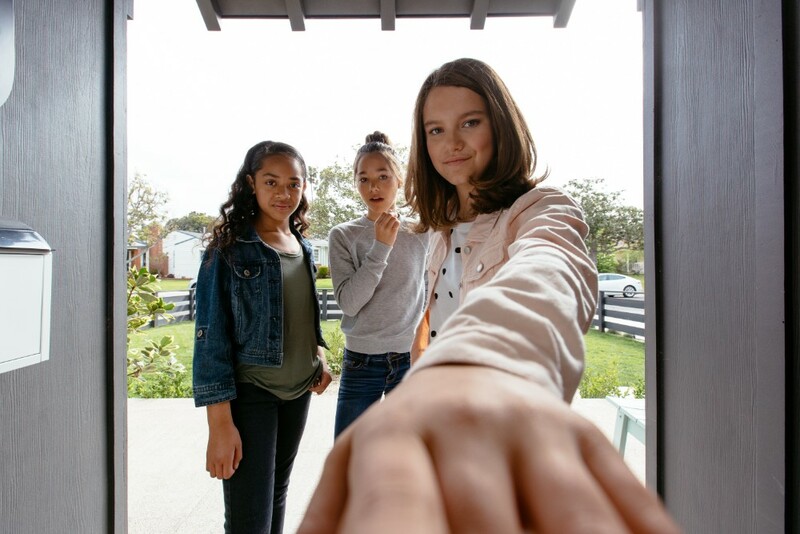 Vivint Doorbell Camera: Considering that 34% of burglars choose the front door to enter a home, a video doorbell is a crucial part of any home security system. Unlike some video doorbells, the Vivint Doorbell Camera allows you to communicate with visitors using two-way talk. Vivint Ping Camera: This indoor camera allows you to touch base with your loved ones while you’re out of the house. Plus, children can instantly contact you through the camera with one touch of a button. 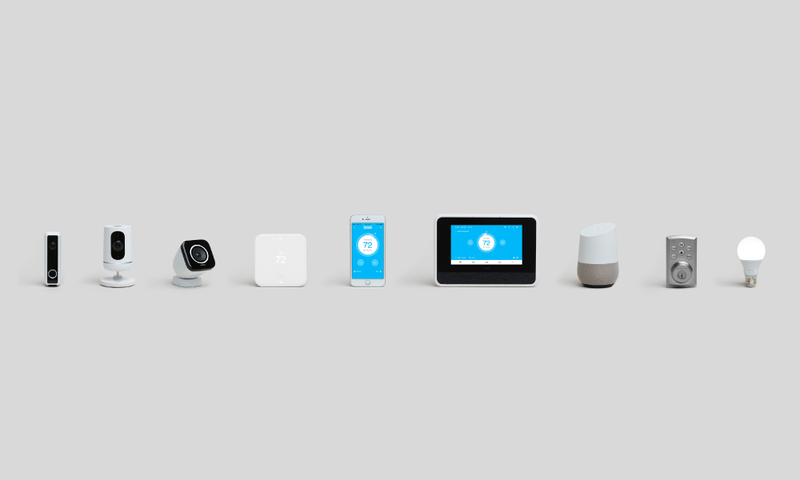 Vivint Smart Hub: The Vivint Smart Hub is the central control system for your home’s security. Lock doors and see who’s knocking through the control dashboard. 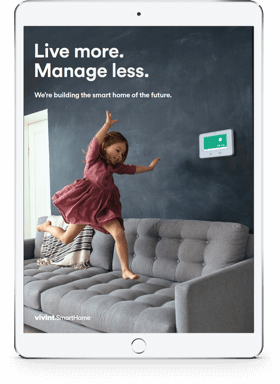 Vivint Smart Home app: This app allows you to make sure your kids are safe, even if you have to step out for a minute. You can even customize it to get alerts whenever someone rings your doorbell and you can remotely lock or unlock your door from anywhere. Installing an integrated smart home system helps you monitor your home and stay in contact with your children. A video doorbell has great benefits that will keep your children safe while home alone. 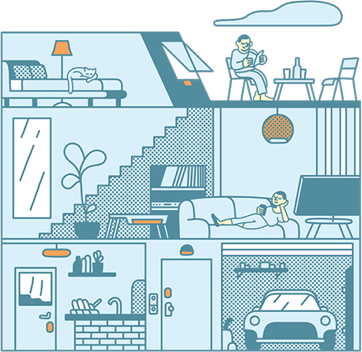 Have total peace of mind by installing an integrated smart home system from Vivint. Combining a great home security system with common-sense safety tips for children—like not opening the door for strangers—can give you greater peace of mind when you’re not home. Call our Smart Home Pros today at 800.646.1469 for a free quote on a customized system to meet your family's needs.